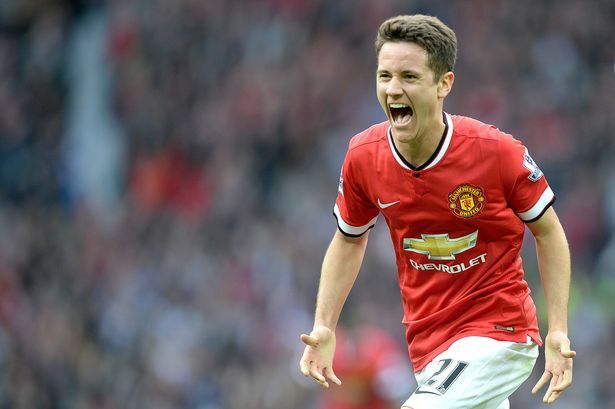 Manchester United are reportedly ‘edging closer’ to agreeing on a new contract with Spanish midfielder Ander Herrera. The 29-year-old has been with United for the past four-and-a-half seasons but his future has been put into doubt of late with his contract due to conclude at the end of the campaign. However, according to ESPN FC, the Mancunian giants are said to have made significant strides towards committing the Spaniard to a new contract after holding positive talks with his agent earlier in the month. Herrera joined United from Athletic Bilbao under the tutelage of former boss Louis van Gaal in 2014 and he thereafter played an influential role in the two seasons under the Dutch head coach. He continued to do the same in Jose Mourinho’s first campaign where he was named the club’s Player of the Year but since then, he has dropped down the pecking order with the added competition for places. At present, Herrera is preferably the fifth-choice midfielder in the ranks with Paul Pogba, Nemanja Matic, Fred and Marouane Fellaini ahead of him but he has recently indicated that his ambition to prolong his stay. United have generally offered a short-term contracts to players approaching the latter stages of their careers but Herrera could expect a minimum of a three-year deal, should the ongoing negotiations reach a conclusion.